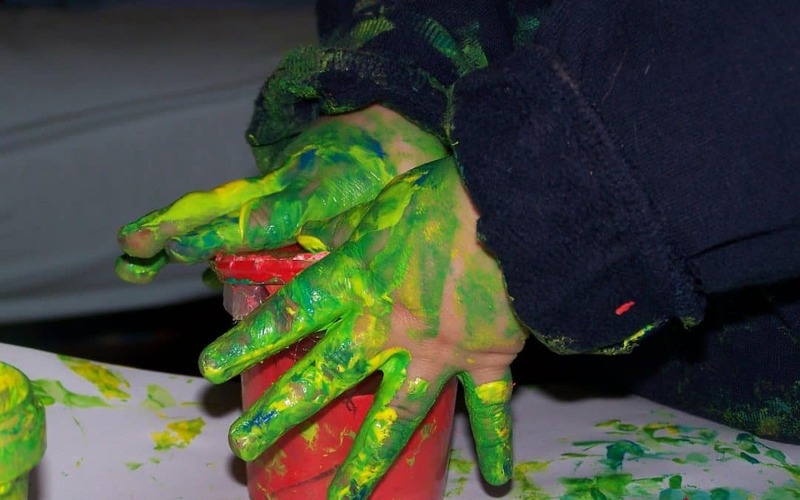 Finger painting is both fun and beneficial for a baby’s development. They get to differentiate between colors, improve their creativity, and even strengthen their hand and finger muscles – all under the disguise of play! So today, I want to show you how to make your own natural finger paint using simple ingredients you probably already have in your pantry. Notice how I said pantry? Yep, this easy DIY recipe is safe, fun AND completely edible (in case your child decides to sneak a taste). In a hurry? These are my favorite food-based dyes! Just glycerin, deionized water, vegetable juice & whole foods! If it can fit in a child’s mouth, that’s where it tends to go. 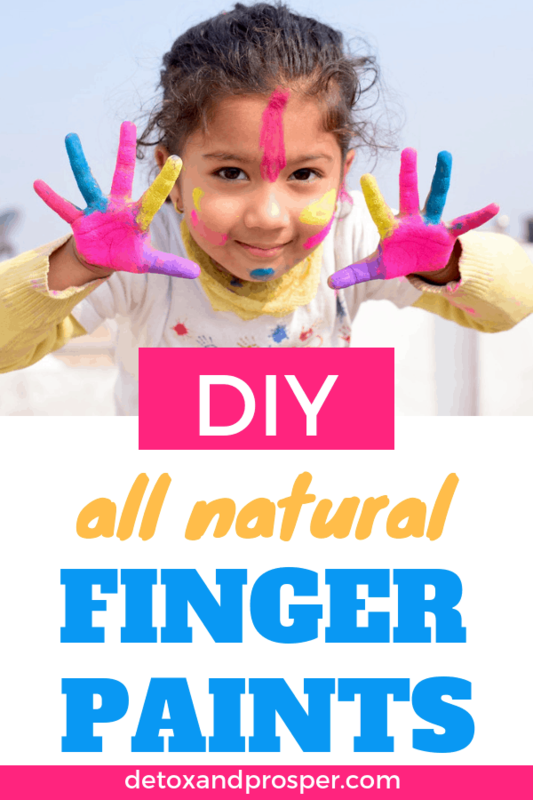 Of course, non toxic finger paints are available in stores, but a manufacturer’s definition of “non toxic” and my definition as a natural-minded mama are two totally different things. A lot of the baby safe paints for crafts on store shelves use ingredients such as artificial food dyes, polyethylene glycol or mannitol (a sugar alcohol). Polyethylene glycol is a chemical that can cause severe stomach pain, nausea and other serious digestive problems, while mannitol can cause heart problems and dizziness. As for artificial food dyes, researchers have found their link to ADHD and cancer. If that wasn’t bad enough, conventional finger paints for infants contain GMO corn, soy and/or wheat byproducts. If your baby has an allergy to any of these foods, a fun art activity could turn into a disaster quick. Rather than risk giving so-called “non toxic” finger paints to your child from the store, it’s much safer to create your own instead. This way, you control every ingredient, and you can easily avoid anything that your child may be allergic to by using natural ingredients. This recipe was adapted from Martha Stewart’s finger paint for toddlers. Below the recipe, I’ll explain why I made the following substitutions and give you some ideas for how to customize it for your little one. 1. Mix the 1/2 cup of rice flour into 2 cups cold water. Use a whisk to work out any lumps. Cook over medium health until it thickens a bit, stirring occasionally. 2. Meanwhile, dissolve ¼ cup arrowroot powder in a little water (just enough to dissolve it). 3. After a few minutes, the flour mixture will look thick and shiny. Turn the heat down to low (setting 1 or 2) and add arrowroot mixture. Stir until incorporated, and cook until you reach your desired consistency. 4. Divide the liquid into ever how many containers you want and add in a separate color for each. In the original recipe, the primary base is sugar and cornstarch. Both of those are problematic ingredients for healthy kids. Other edible finger paints for babies use white flour, which is a problem for children with gluten sensitivities. That’s why I went with rice flour. You can use other forms of flour, but it needs to be a very fine grain. For instance, almond flour wouldn’t work. In Martha Stewart’s recipe, the cornstarch was used as a thickening agent, but arrowroot is a more natural alternative, created from the crushed roots of the arrowroot plant. Arrowroot also thickens better than cornstarch and can be used in lower doses. She also suggests using food coloring, but it is not naturally made food dye and should be replaced with juices made from berries, fruits and vegetables that have been crushed. For food-based dyes, mixing the colors is just a matter of trial and error. For instance, I’d put a few blueberries in my food processor. Then just add a tablespoon or so to the flour mix and see how that looks. Then add more if desired. I also like using India Tree’s natural food colors. 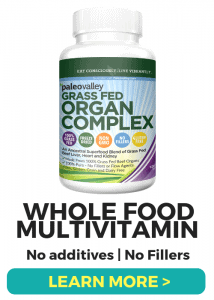 They are 100% natural with no synthetic dyes or corn syrup. The base consists of glycerin, deionized water and vegetable juice. They also use whole foods like spirulina and turmeric to create fun, vibrant colors. Check out India Tree Natural Food Colors here or in the image below! If you use store-bought food colors, I’d suggest using 10-20 drops per paint container. 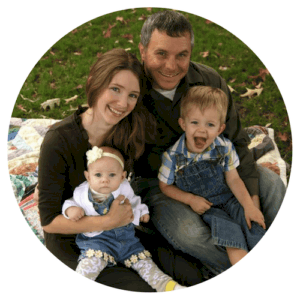 Once you’ve finished making your DIY finger paint, you are ready to start creating art with your baby! This could be a wonderful way to decorate your child’s room with their own artwork. Give them the paint and help them create any design they want. They can use it to paint a forest of trees, grass and flowers or just adorable hand prints. If it’s near the holidays, you can let your child use the finger paint to create cards for family members, or decorate your home with their finger painted turkeys and Christmas trees! 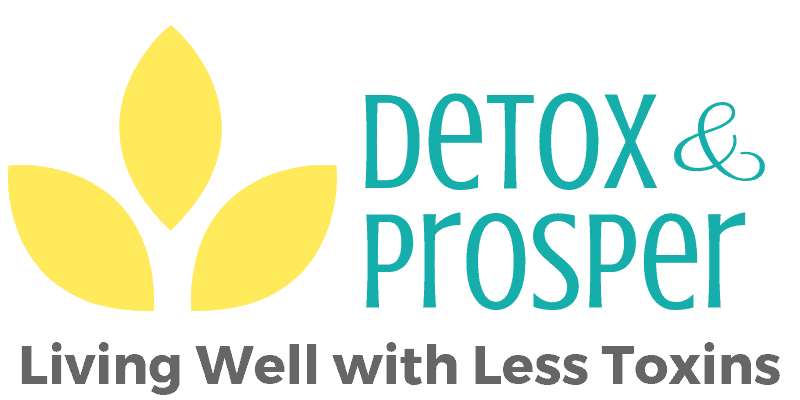 Want to remove toxins from more of your baby’s stuff? 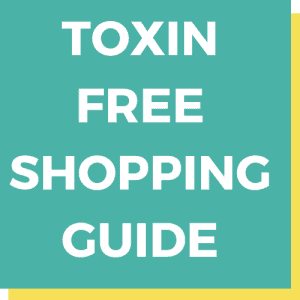 Check out this non-toxic toy guide!